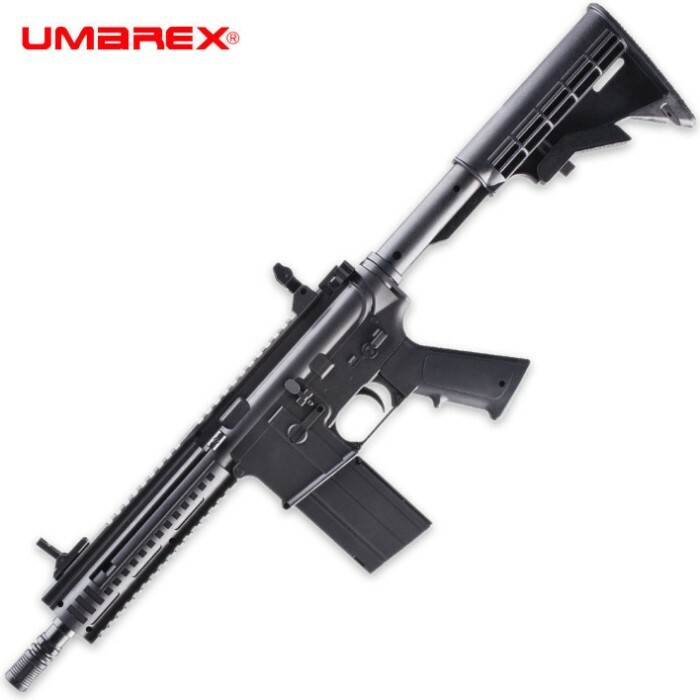 Umarex Steel Force M4 Air Rifle | BUDK.com - Knives & Swords At The Lowest Prices! Similar in design to Umarex's popular Steel Storm, this new Steel Force M4 air rifle delivers an astonishing 430 feet per second. This six shot burst rifle offers a 300-round capacity, a side by side CO2 valve system and single or six shot selector. Outstanding BB gun. I love the selector switch that let you change from single round fire to full 6-round burst. The gun is easy to load and very accurate. And, with 2 co2 cartridges, the shooting time is great!